How Do I Sell My House Without An Agent In Fort Worth When The Market Or My Agent Can't? 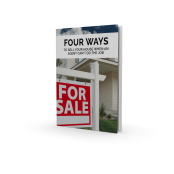 If we don't "Buy Your House Fast", this book will show you 4 ways to sell your house without an Agent for EXACTLY what you want AND how to avoid paying annoying commissions. We'll Buy Your House Fast In Tarrant County, Texas! Get A "Fair" Cash Offer On Your House and Your FREE eBook Here! Want To See How Much We Can Pay For Your House? We buy, sell, renovate, and lease homes in the DFW area. We are excited to potentially work with you directly. We are not agents or brokers but buyers with CASH and are ready to "buy your house". We are focused on improving neighborhoods and redeveloping areas that we work in. Ask Google about us here TMC Property Solutions and then call us to sell your house without a realtor in Tarrant County and save thousands. Call Today! To learn more about TMC Property Solutions and what others say about our services please view our Fort Worth BBB report HERE or call our Free recorded info-line at (817) 550-5069 Opt# 1 TODAY to learn more about our services offered.